GVL / Kevin Sielaff - The BOTV trophy is presented during halftime. Grand Valley squares off against SVSU Nov. 14 in Allendale. The Lakers hold on and win with a final score of 24-17. The annual "Battle of the Valleys" is about to begin. Not only will Grand Valley State University and Saginaw Valley State University be going head-to-head out on the football field, but they will also be competing in the annual fundraising event. Battle of the Valleys will take place across campus Sunday, Sept. 24, through Friday, Sept. 29, leading up to the football game Saturday, Sept. 30, at 7 p.m. at Lubbers Stadium. All of the proceeds from this week-long charity competition will be going to the Laker Children’s Fund (LCF), an organization run by GVSU students that raises money for nonprofit organizations located in Kent and Ottawa counties that specialize in childhood growth and well-being. Donations will open at 12:01 a.m. Sunday, Sept. 24, and will close at 11:59 p.m. Friday, Sept. 29. Since 2003, Battle of the Valleys has raised a total of more than $510,000 for children’s charities between the two schools. Some of the events during the week will include the Family Weekend 5k walk/run, a beach volleyball tournament, a car wash, an egg smash, "Pie Day," "Grill Day," water pong and sunset yoga at the Cook Carillon Tower. The money raised from all of these events will go toward the Laker Children’s Fund. Morgan Mattler, chair of public relations for GVSU's student senate, said the money raised is donated through the LCF toward a range of scholarships. “There are a wide variety of things this money goes to to benefit children, current Lakers and future Lakers,” Mattler said. The LCF began in 2014 when GVSU decided that instead of donating the funds to a charity of its choice, the money raised from Battle of the Valleys would go toward a single fund that the university could give to nonprofit organizations as needed. While money for the LCF was initially only raised during Battle of the Valleys, GVSU now has events all year long that contribute to it. This event would not be possible without the efforts of the Laker Traditions team and the student senate, in addition to many other groups and organizations on campus that have helped to raise money for GVSU. 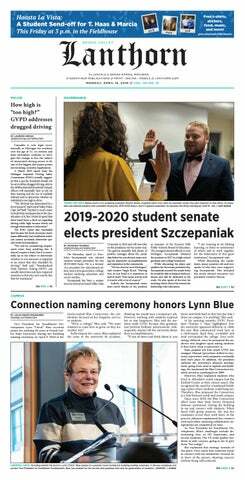 “While it’s mostly a Laker Traditions event, it’s tradition that the student senate as a whole helps out through volunteering, helping, getting the word out, promoting it and all things necessary,” Mattler said. Mattler appreciates the community aspect of the annual event. Dan Ziegenfelder, the president of Laker Traditions, said it’s important to keep in mind the reason for Battle of the Valleys and that it’s much more than just a football game. Battle of the Valleys is an opportunity for students to give back to their school and community.